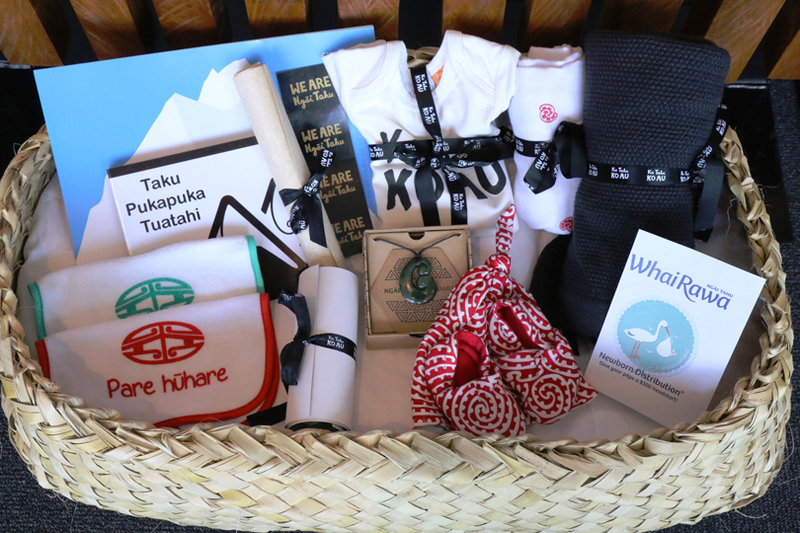 Pēpi packs help whānau with newborn Ngāi Tahu pēpi to grow a strong cultural connection to their iwi. The whakapapa scroll included in the pack links the newest uri of Tahu Pōtiki to one of their ancestors from the Census of 1848. As well as providing a connection to Ngāi Tahu from birth, pēpi packs are designed to encourage safe sleeping for babies under 6 months old with the flax wahakura (bassinet). Parents/caregivers of all Ngāi Tahu babies who are registered with the iwi before they are 6 months old will receive a pack. Customs restrictions for whānau abroad may require a variation to the pēpi pack from the domestic pēpi pack (particularly in relation to the flax wahakura). Ngāi Tahu are currently in discussions with Australian weavers and suppliers to locally source wahakura out of Australia.